Let's go to Thailand today, shall we? P.S. That water is bath temperature, and crystal clear as far as you can see. No joke. Not even Hawaii can compare. 2) Thai food is amazing when it's done right. And it's hard to do right. This is where that dumb Leonardo DiCaprio movie, The Beach, was filmed. I looked for Leo or Leo look-alikes when I was there, but all I got was this lousy view of paradise. Where the elephants just sorta chill out with you while you drink Singha. Have I mentioned how much I love Thailand? You will notice that this is not a recipe as much as it's a list of ingredients. A woman in her thirties shouldn't be intimidated by too many things in life, but despite living in Asia for a long time, I am horribly intimidated by cooking Asian food, especially if I don't have clear directions. So this 'list' remained in my 'cookbook' (binder full of recipe scraps-- probably should do something about that mess) until a few weeks ago when I was feeling brave enough to take my secret woman in her thirties decoder ring to it. 1. Fill a bowl full of HOT water, and soak your rice stick noodles for 20 min. I used this kind (I found them at Super Target), about 1/2 the package. Notice how they are the thick kind, not the thin kind. I don't like the thin kind, unless they are in soup or spring rolls, but hey, if you like the thin kind, I guess you can try it out. Just remember to soak them for a few minutes less than the package tells you too. And you're weird. Note: The package says to soak them for 25 min. I say do 20 min, because you're going to stir fry them later anyway, and no one likes soggy noodles. No one. 2. Meanwhile, chop up your green cabbage-- the whole head. Picture your ex while doing it, and it shouldn't take longer than a minute. Then dice your jalapeno pepper(s). I used ONE pepper without the seeds because I'm pregnant and indigestion-ish. However, if you like spicy, go to town with the jalapenos (there is much more spice to come, though, so beware). Then chop your garlic, unless you are lazy like me and buy the already chopped kind. 3. Heat about a tablespoon of PEANUT OIL in your wok or pan. (I'm cool and have a wok, but if you're not cool and don't then whatever.) Notice the emphasis on PEANUT OIL. Don't be dumb and substitute with vegetable oil. And don't be SUPER dumb and substitute with olive oil. Add the diced jalapeno, garlic (be generous-- I used a large teaspoon of the already chopped kind), and ALL of the cabbage. Mix it up all good and stuff. Then add about a tablespoon of soy sauce and mix it up some more. Do not be scared by the Chinese characters on the jar. 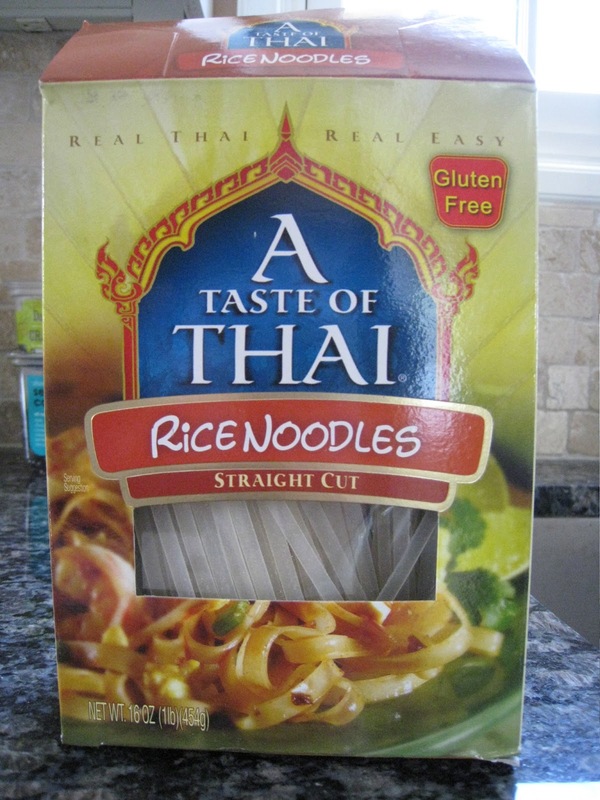 If your grocery store has a decent international foods section, you can find this there. If not, any Asian market will carry it. Do not be scared of the Asian market. It is a wonderful place where all sorts of treasures can be found. I'll post about that, someday. You might be tempted to substitute with another chili garlic sauce. You might pick up the Safeway generic brand in a tube and say, 'this looks like it might be okay'. If you do that, you are on your own. I take no responsibility for the results. Our food contract is null and void. I added about a 1/2 a teaspoon, just enough to get the cabbage tinted red. Then sprinkle with paprika and/or cayenne pepper, just a few shakes worth. Again, I'm pregnant-y and I can't take the heat I normally can. 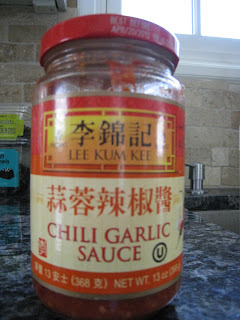 L, however, added more chili garlic sauce to the finished product. It might also be noteworthy that he goes through at least one large bottle of Sriracha a month, and I am not exaggerating. What I'm saying is be careful with the spice. Just a few minutes, just to get them cooked through. When they're done, pour them on top of your cabbage to get them out of the way. 6. By this point, the rice noodles should be done soaking. (I know what you're thinking-- this is the longest recipe ever-- but really it's fast. I'm just talking a lot.) Drain them, add another dash of peanut oil to your wok, and add the noodles. If you're feeling feisty, add some more chili garlic sauce. If not, skip it. And there you have it. Delicious Pad Thai, no airfare or fish sauce required. Thank you, jie-jie! And to the rest of you women in your thirties, you're welcome. 2. Can't wait to try it. 3. M. C. really is the best sister in law a girl could ask for. 4. Bean sprouts are delicious. Don't be stupid. Yes, sprouts are delicious. When they don't make you almost puke to death. This sounds amaze! Can't wait to try it. Oh, and I have to ask... How did you know it was the bean sprouts that gave you the poisoning? Were you snacking on bean sprouts? By themselves? Cuz that's weird. I don't know for sure it was the sprouts... but I hear they're hard to clean and the most likely culprit based on what I ate that day. So no more sprouts for me. EVER. Yum yum!! !Can't wait to try when Heidi makes this!!! And I can't wait to try this recipe! Thank you, Michelle! And I hate to tell you this, but MY sister-in-law is WAY cooler than yours! LOVE THIS POST! And I'm tempted....but very very scared of that red chili looking fire in a a jar! PS- "hi", hope you are doing well! I'm making this tomorrow night, wish me luck! Can I pin this post? Or no (serious question)?